Vivo Philippines just announced their "one-of-a-kind" Valentine's Day Promo this 2018. All you need to do is post a selfie and you might win a prize! 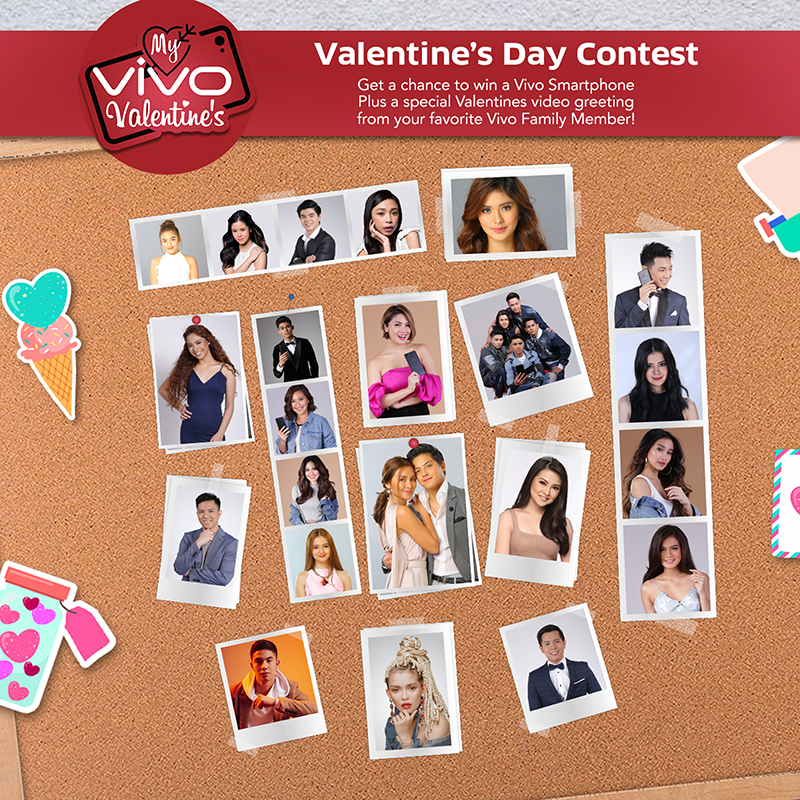 Those who will join might get a chance to take home a brand new Vivo smartphone and an exclusive Valentine's Day video greeting from your favorite Vivo Family Member which includes several famous celebrities and endorsers. Related: Vivo announces Valentine's month promo! To join, take a selfie with a photo of your best-loved Vivo Family member. Vivo encourages those who will join to be creative. The photo of your best-loved Vivo Family Nember can be from a magazine, a poster, or even a billboard. Then, visit and like and follow Vivo Phillippines' official Instagram account (@vivophil) and Twitter (@vivo_phil). After that, post your selfie with the Vivo Family Member on your Twitter or Instagram account. On your caption, write a brief yet inspired story on how you intend to celebrate Valentine's Day with your Vivo Valentine and do not forget to add the hashtag #MyVivoValentine. Contest runs from February 5 to February 18 with announcement of winner on February 19. Only one lucky winner will be picked randomly (via randomizer.org).